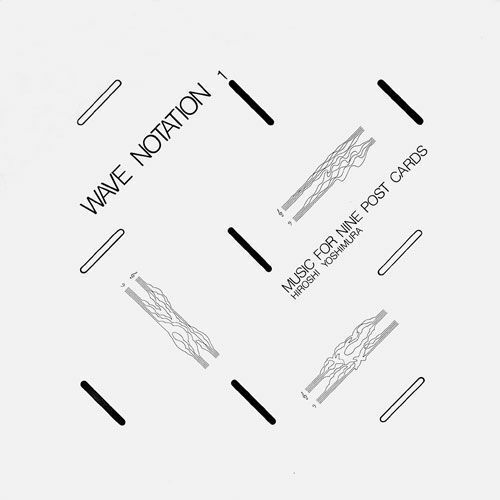 Well, this is just lovely; Hiroshi Yoshimura’s soothing electro-acoustic ambient suite, Music For Nine Postcards  is made available outside the Japanese market for the 1st time, unfurling the Tokyo-based artist’s delicate, minimalist masterwork inspired by Satie, Schaefer and Eno to whole new generations in need of blissed sonic respite. Unless you’re a bit wadded or simply helpless to the charms of early ‘80s Japambient records and bought a dead expensive original, it’s maybe likely that you’ll only get to hear this one via YouTube otherwise, so the opportunity to hear this beauty in full fidelity, at a reasonable price, is not to be missed! "Despite his status as a key figure in the history of Japanese ambient music, Hiroshi Yoshimura remains tragically under-known outside of his home country. 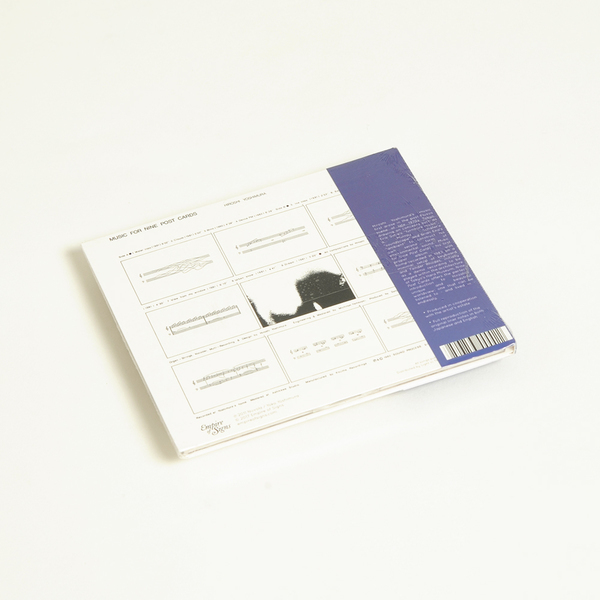 Empire of Signs–a new imprint co-helmed by Maxwell August Croy and Spencer Doran–is proud to reissue Yoshimura’s debut Music for Nine Post Cards for the first time outside Japan in collaboration with Hiroshi’s widow Yoko Yoshimura, with more reissues ofHiroshi’s works to follow in the future. Working initially as a conceptual artist, the musical side of Yoshimura’s artistic practice came to prominence in the post-Fluxus scene of late 1970s Tokyo alongside Akio Suzuki and Takehisa Kosugi, taking many commissioned fashion runway scores, soundtracking perfume, soundscapes for pre-fab houses, train station sound design – all existing not as side work but as logical extensions of his philosophy of sound. His work strived for serenity as an ideal, and this approach can be felt strongly on Music for Nine Post Cards. 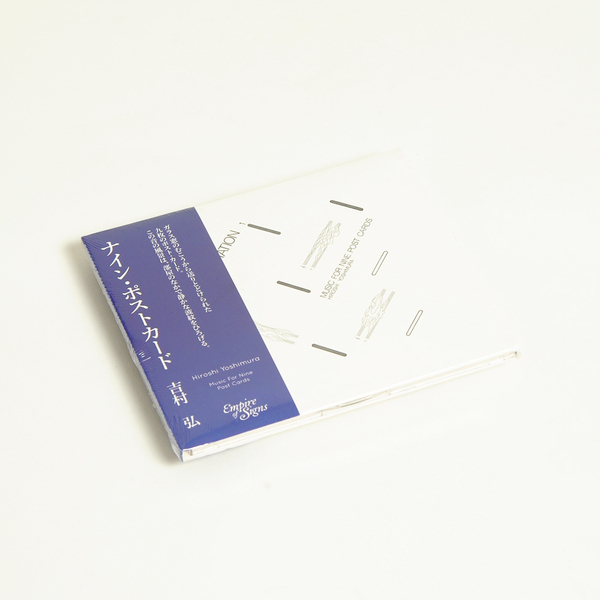 Home recorded on a minimal setup of keyboard and Fender Rhodes, Music for Nine Post Cards was Yoshimura’s first concrete collection of music, initially a demo recording given to the Hara Museum of Contemporary Art to be played within the building’s architecture. This was not background music in the prior Japanese “BGM” sense of the word, but “environmental music”, the literal translation of the Japanese term kankyō ongaku given to Brian Eno’s “ambient” music when it arrived in late 70’s Japan. Yoshimura, along with his musical co-traveler Satoshi Ashikawa, searched for a new dialog between sound and space: music not as an external absolute, but as something that interlocks with a physical environment and shifts the listener’s experience within it. Erik Satie’s furniture music, R. Murray Schafer’s concept of the soundscape and Eno’s ambience all greatly informed their work, but the specific form of tranquil stasis presented on releases like Nine Post Cards is still difficult to place within a specific tradition, remaining elusive and idiosyncratic despite the economy of its construction. This record offers the perfect introduction to Hiroshi’s unique and beautiful worldview: it’s one that can be listened to – and lived in – endlessly." Our final, unsealed copy. Full reproduction of the original LP jacket and original liner notes. Please note that this is quiet music and any natural surface noise will still be audible while the record is playing.